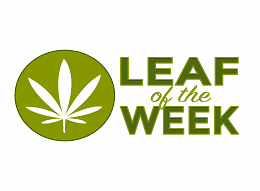 The Denver Nuggets had a busy week as they inked Nikola Jokic to a five-year/$147 million max contract, and then lured Will Barton back to the team with a four-year/$50 million deal. So, I hope that you were entertained by last year’s team that barely missed the playoffs, because they’re not going anywhere soon. not only arrived, but the finances imply they are done. 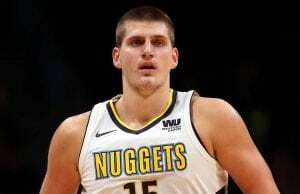 The 2018-19 Nuggets will have a few familiar faces such as a healthy Paul Millsap (missed 40 games), Wilson Chandler, and towel-waving Kenneth Faried, but only for this season as they work on clearing cap space for Murray’s long-term deal and potentially shop to rid the contracts of Mason Plumlee and Darrell Arthur. For a team that won 46 games and just missed the playoffs, next season looks promising as the entire team, Paul Millsap, and the addition of lottery pick Michael Porter Jr. make a run at finishing in the top eight. But unless the Nuggets get creative, the roster for the next five years is practically written in pen, if not hard-to-erase pencil. The contracts of Jokic, Harris, and Murray will take up the majority of cap space. 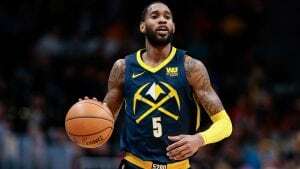 Will Barton (27 years old) will take a little more. 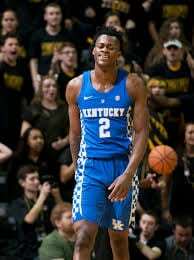 And the youth movement of Porter Jr. (19), Trey Lyles (22), Juan Hernangomez (22), Tyler Lydon (22), Malik Beasley (21), and draft pick Jarred Vanderbilt (19) will have to fill in the Denver roster with affordable role play. veteran leadership of a Paul Millsap, or the down-low presence of a Mason Plumlee having the maturity or the defensive intensity to seriously challenge in the West. Jokic often on the perimeter and slow-of-foot defensively, they need a shot-blocker that can clean up defensive mistakes like a Clint Capela, but at a bargain price. Maybe that’s one of the young guns that the Nuggets are trying to develop, or maybe that guy is yet to be found in Serbia, France, or Cameroon. 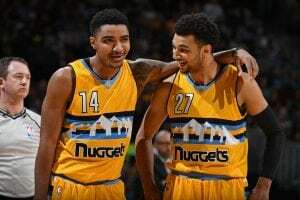 While it’s apparent that the Nuggets will be growing up on the court, the question remains whether they will be going up in the standings.